The opportunity to paint a giant portrait of Leonard Cohen on the side wall of the nine-storey Cooper Building off of St-Laurent Boulevard is something of a double dream come true for mural artist Kevin Ledo. 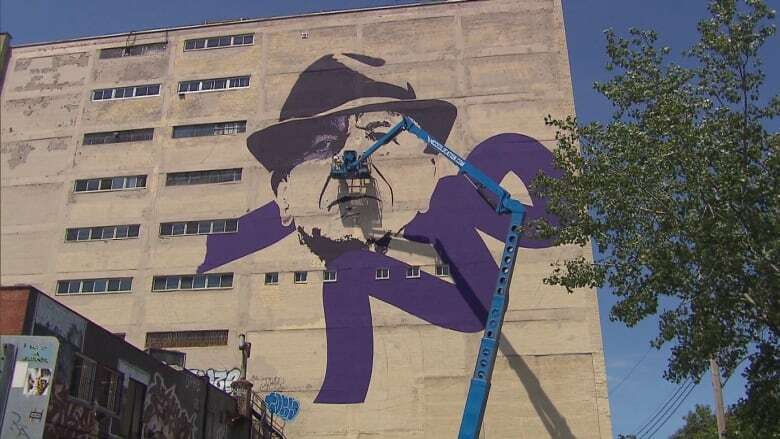 The opportunity to paint a giant portrait of Leonard Cohen on the side wall of the nine-storey Cooper Building just off St-Laurent Boulevard is something of a double dream come true for mural artist Kevin Ledo. 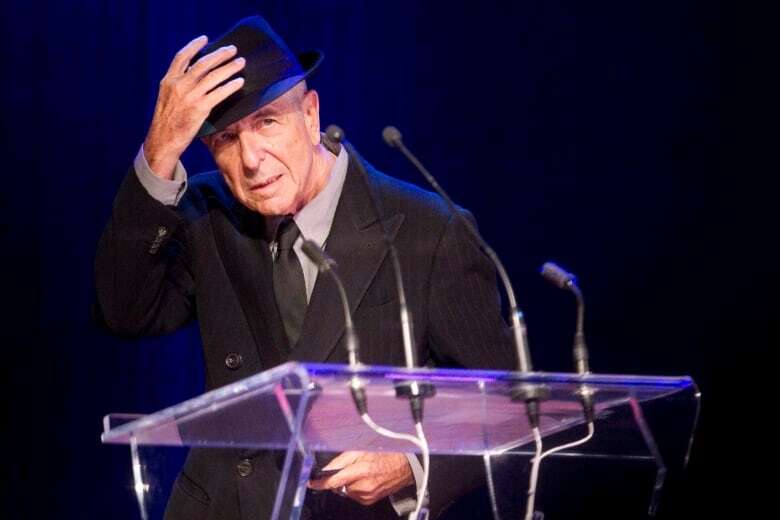 "I've been wanting to paint Leonard Cohen for a few years, and I've been wanting to paint this wall for a few years — I live around the corner — so the two together, I couldn't say no," he told CBC News. While he specializes in portraits, Ledo said he's never attempted one of this scale before. He began by photographing the wall from a distance and then superimposed the image of Cohen over the photo. He then used the existing lines and features of the wall as his grid and then plotted out the mural with their help. Tracing the image on the building came down to a marker taped to a stick. Ledo said the mural is inspired by Cohen's later work, especially his last two albums. "They had this dark kind of feel that I really liked, and yet there was always this light around it," Ledo said. What does it sound like when Leonard Cohen fans of 50+ years sing I'm Your Man? The purple lines around Cohen's face, Ledo said, are "symbolic of the energy surrounding him and his music in that time." As a long-time Cohen fan, Ledo said the project is as much a personal tribute to the legendary singer and poet as it is a work of public art. Still, he's happy to see the positive response his work-in-progress has been receiving. "I've always liked Leonard Cohen and his music and I really respect him as an artist — and, as time goes on, I'm starting to see that it's very meaningful for everybody else as I'm doing it," Ledo said. "I'm happy that it's becoming a public celebration of Leonard Cohen."